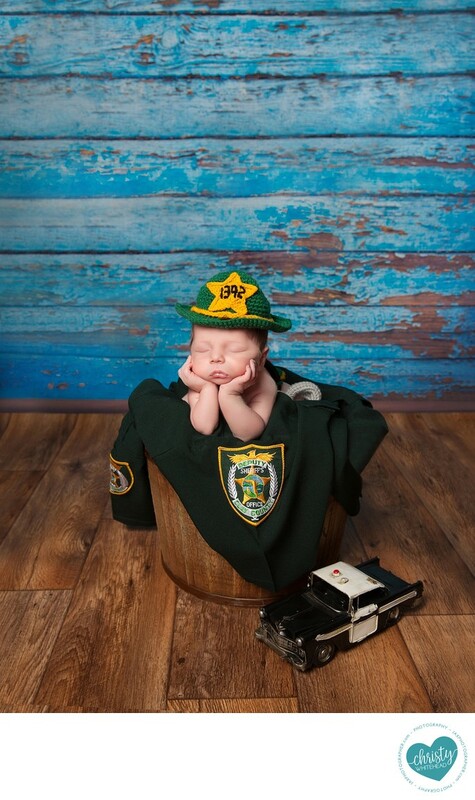 Clay County Sheriff's Officer future backup - Newborn Photography | Schedule Your Newborn Shoot Today! Clay County Sheriff's officer's little backup. I come from a fire and police family. Love doing these.